Well I sure feel like I've been gone a while. As much as I love to blog and review products, I've been quite busy in my personal life, and my focus has been primarily on improving those aspects of my life. Regardless, even though I've been busy and super tired all the time, I will not give up my passion of blogging and continue on with posting at least once a week! Hopefully. 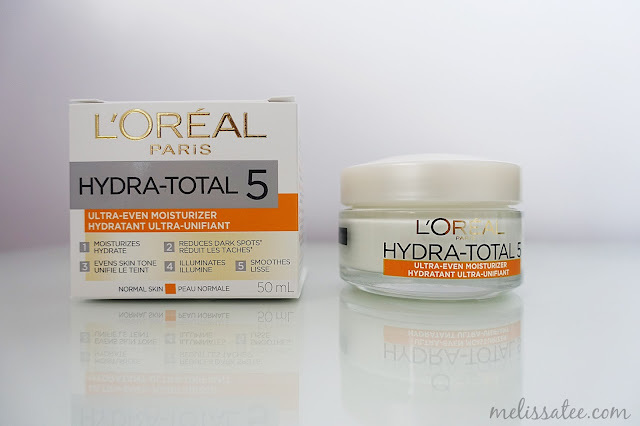 I was given the great opportunity to review the new L'oreal Paris Hydra Total 5 Ultra-Even Skincare line. 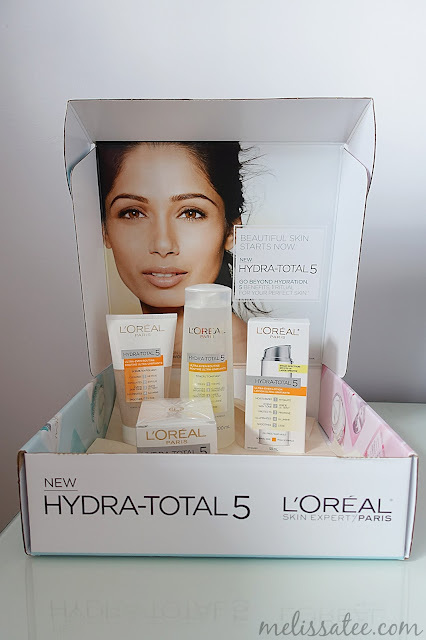 It is one of the new skincare lines that L'oreal has come out with, and I was chosen through Influenster to review the whole line! Basically, you sign up with Influenster, connect all your social networks, review products, complete questionnaires, get badges, and you get sent products to review. Absolutely free. Of course, the higher your social impact score, the higher chance you get chosen to get products sent to you. There are times where they will choose you based on how many badges you earn, and how you answer the pre-survey questionnaire, but that may also vary on the type of consumer they are looking for, for the specific product in question. I've received things such as the L'oreal Fibralogy Hair Care line, Impress Press On Manicure and even a Keurig 2.0 K500. Yes, I got a whole Keurig for free!! I was super lucky when I was chosen for that, and it made me love and appreciate Influenster that much more. Being in such a large community, there are times you will be lucky, but don't set your hopes up too high when you don't get anything! 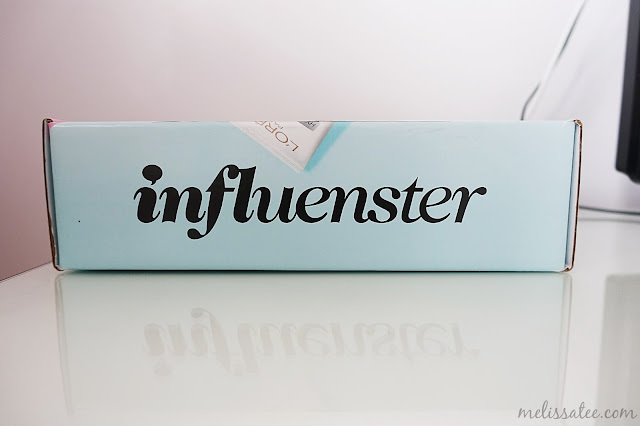 I was a member with Influenster for two years before I received anything. The key is to be an active member, and always remember to connect your social networks, as they tend to disconnect sometimes. I dragged on for long enough, now on to the products! 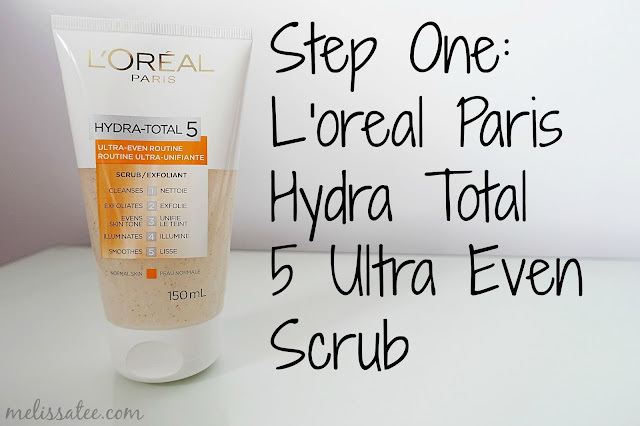 I received the whole "Ultra-Even" skincare line to review, and have used the products over the span of 2 weeks now. The Ultra-Even line is suppose to illuminate and even out your skin tone for a more radiant look. 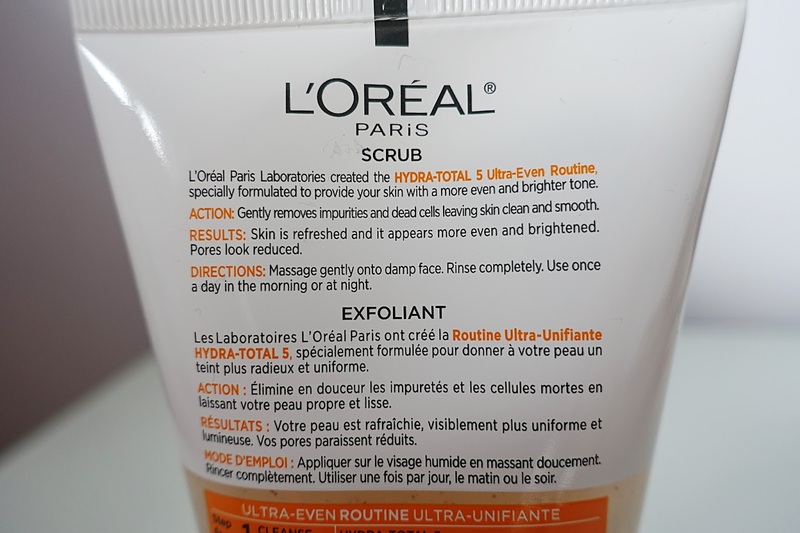 The L'oreal Ultra-Even Scrub claims to remove impurities and dead skin cells, leaving your skin clean and smooth. Personally, I haven't done much face washing with any skincare products for the past few months, so this was a treat for me. After removing my make-up, I would squeeze out a small amount into my wet palm, lather and then scrub it onto my face. The product itself smelt divine, and I felt it did a really good job scrubbing my face. 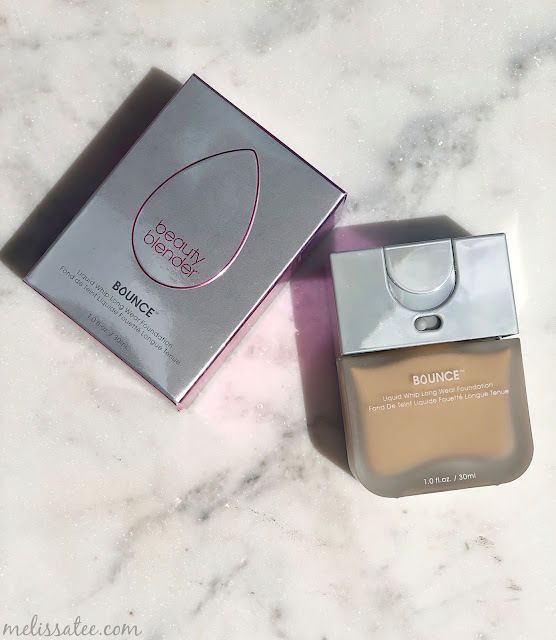 I did feel like my face look noticeably brighter and lighter, and I didn't feel like the product dried out my skin, as most cleansers tend to do. It left my face feeling clean and refreshed. 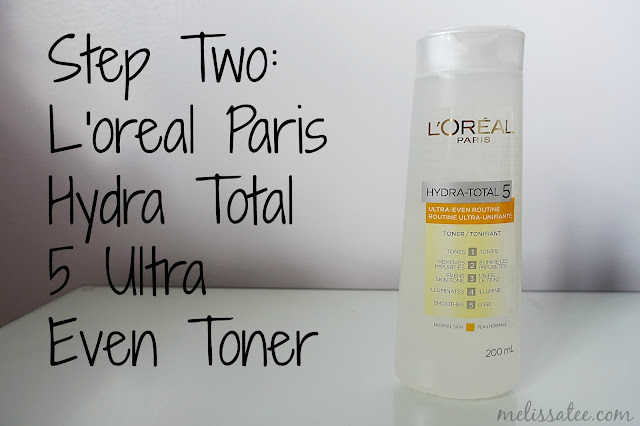 I had high hopes for the L'oreal Paris Ultra-Even Toner, since toners seem to work best with my skin with any skincare line. I have pretty sensitive skin, so I was more worried with my reaction to the cleanser. The toner helps take off any excess make-up and leaves your skin feeling clean and fresh. I used the toner after washing my face. 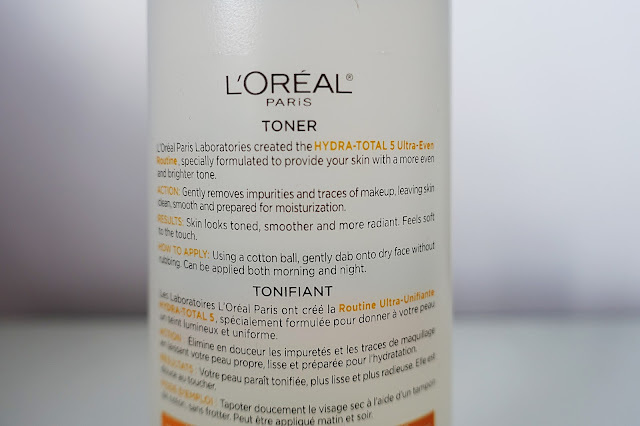 The toner dried fairly quick once I dabbed it onto my face, and it kind of felt cooling. I felt like their wasn't much of a wow factor with this product, so I would probably skip out on this once I run out. It was pretty much a generic toner. It did remove the excess make-up I did have that the cleanser might have missed though. The L'oreal Paris Ultra-Even Lotion claims to moisturize your skin and fight dryness, even out and brighten your skin tone, product your skin from the sun with SPF 20, illuminate your skin and instantly make your skin feel softer and smoother. I wasn't a fan of the SPF in the lotion because I felt it made my face have a fairly noticeable white cast. It was very moisturizing, but definitely too moisturizing for someone with oily skin. 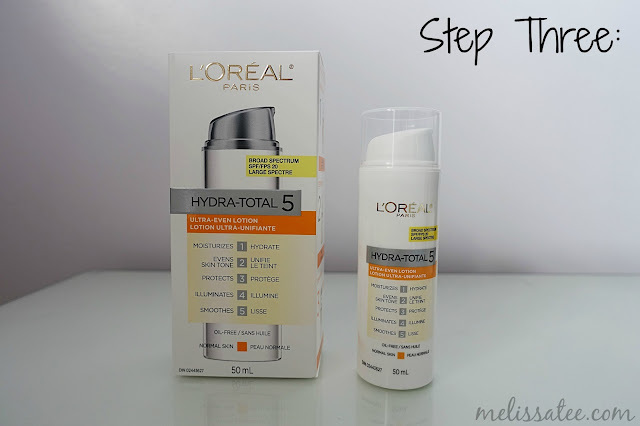 This lotion works in the morning or night, but I stuck to using it in the morning before applying my make-up. Last, we have the L'oreal Paris Ultra-Even Moisturizer that helps nourish your skin and fight dryness, similar with the lotion. This product is to be used at night. This was probably my favourite product of the skincare line. I loved how luxurious the moisturizer felt. It was thick and non-greasy, and I thoroughly enjoyed using this at the end of the day. This moisturizer also made my face look glowy and bright, which wasn't bad considering I was wearing it to bed. 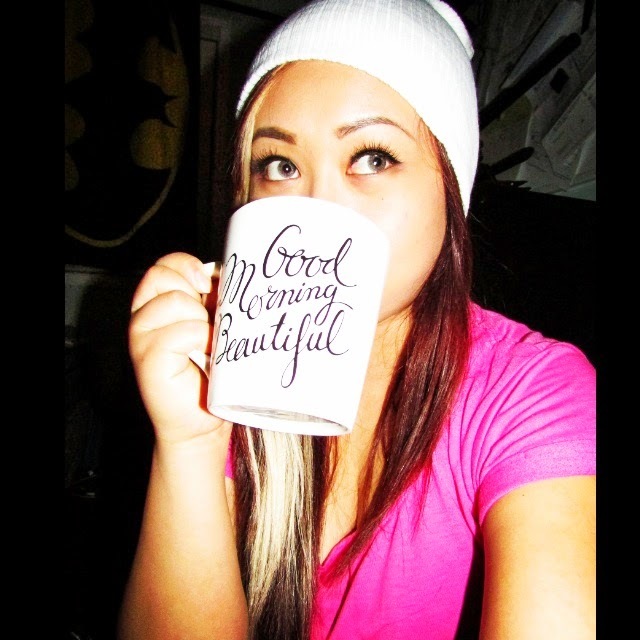 Register for Influenster so you can receive and review free products too! 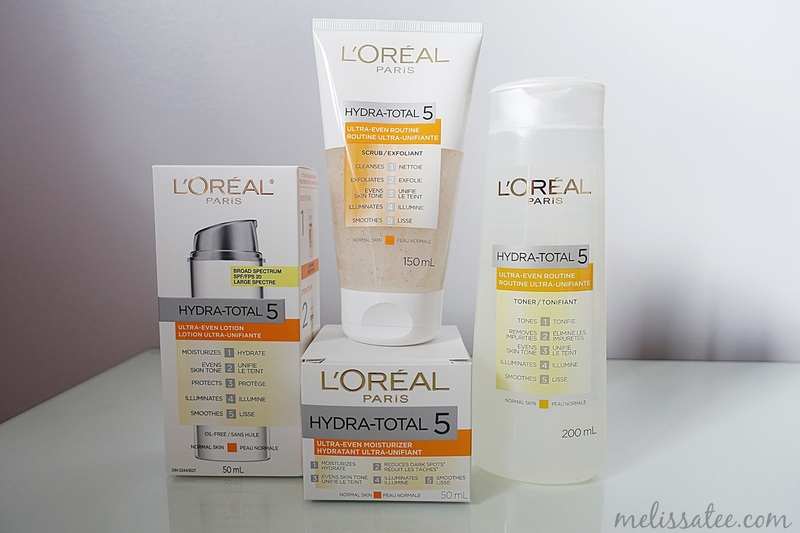 These products were sent to me by Influenster for reviewing and testing purposes.